Villasimius is located on the South Eastern edge of Sardinia, by Capo Carbonara, about 50 Km from Cagliari, in a sort of splendid peninsula with colorful waters rich in flora and fauna. It is a tourist destination that during the summer nights is alive thanks to the numerous clubs, but also the services offered, such as the Tourist Harbor of Villasimius, which gives tourists and occasional guests the possibility to dock their boats for a few days or for the whole season, or to take a boat tour. And lots of sport: Villasimius is the ideal destination for diving, sailing, windsurfing and kitesurfing enthusiasts. 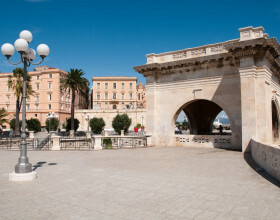 There are also many tours, and excursions on foot, by bike, by scooter and horseback riding. The crown jewel of Villasimius are its beaches, long stretches of white sand or small charming coves that offer unique panoramas. Among the most beautiful beaches of Villasimius we recommend Porto Sa Ruxi Beach, the first town the Villasimius region you encounter when driving along the SP 17 road. It is a charming bay that opens up between the cliffs, divided into three small sandy beaches separated by rocks. For its unique conformation, this area is one of the very few to be sheltered from the Mistral wind. Between Porto Sa Ruxi and Campu Longu is Campus beach, accessible via the SP 17 road at the Km 34,7. Visitors will find white sand and crystal clear waters of the brightest colors. It is surrounded by the typical vegetation of this area. If you keep driving along road SP 17, after the locality of Campus, syou will find signs for Riso Beach. Located between the small tourist harbor, this beach features small cobble stones shaped/smoothed by the sea. 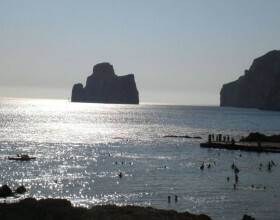 Between the tourist harbor and Porto Giunco Beach, you reach Capo Carbonara. It is a rocky promontory covered by Mediterranean maquis. At the center there is the beautiful Cava Usai beach. Following the jugged coastline you reach the lighthouse, under which Cala Burroni and Punta Santa Caterina are located. Finally, among the most popular and equipped beaches of Villasimius, we recommend Porto Giunco Beach, also called the beach of the two seas, because of the big bond that is behind it, Notteri pond. Exiting Villasimius towards the harbor, just outside town, turn right. The signs are after about 3km. 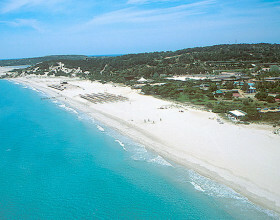 Dominated by the Porto Giunco tower, the beach boasts two small coves, sheltered from the wind by rocks and vegetation. The sand is very white, and the water’s vivid hues change constantly throughout the day. 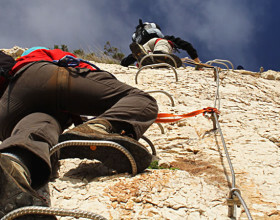 The Belvir Hotel organizes for its guests a number of excursions to discover Southern Sardinia. A tour of the most beautiful beaches of Southern Sardinia, a succession of long stretches of white sand and small and narrow bays, set between promontories and featuring crystal clear waters. The area of Pula includes a part of the Sulcis Natural Park, where the arid landscape gives way to lush forests, dominated by oaks and holm oaks. It is a wide and isolated area, reign of the Sardinian deer, the wild boar and the golden eagle. You can trace the city’s history starting from the oldest neighborhood, Stampace. You can then walk by the Roman amphitheater to reach the Castle, an ancient Medieval hamlet, with the fascinating San Pancrazio Tower. From here you can enjoy a breathtaking view of the Saint Remy Bastion. Then stroll around the Marina, by the harbor, ad finally Villanova. a tour of the areas that for thousands of years were the site of the island’s mining activity. You can visit Iglesias, a mining town, where many ancient buildings are a testament to its history, and the Mine of Monteponi, with two impressive wells. The Galleria Villamarina is also worth a visit. Afterwards you move along the coast between Masua and Nebida, to visit Porto Flavia and its unique panoramas.